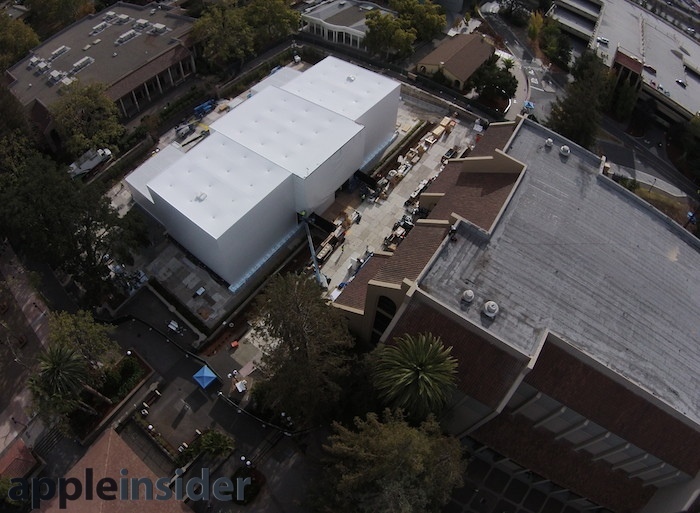 According to some new aerial shots captured by an amateur photographer using a flying camera drone, a large white structure is being erected next to the Flint Center for the Performing Arts, where Apple is expected to unveil the iPhone 6 at a special event scheduled for September 9 (via AppleInsider). Apple’s mysterious ‘white box’ is rising on a square within the De Anza College campus in Cupertino, which is located 1.5 miles from Apple’s Infinite Loop headquarters. 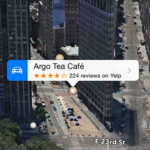 “Apple’s 3D Flyover in Maps depicts the site as usually being bare pavement encircling two patches of grass and a central fountain. Overhead images reveal that the fountain is still exposed in the rear, while the front courtyard area is enclosed in a large, ventilated temporary structure. The company hasn’t used the Cupertino Flint Center venue for introducing new products since the late 1990s. The space is notable in Apple’s history for serving as the first public introduction of the Macintosh in 1984. The auditorium has the capacity for seating nearly 3,000 people, compared to the smaller Yerba Buena Center for the Arts Theater in San Francisco, which seats only 755.